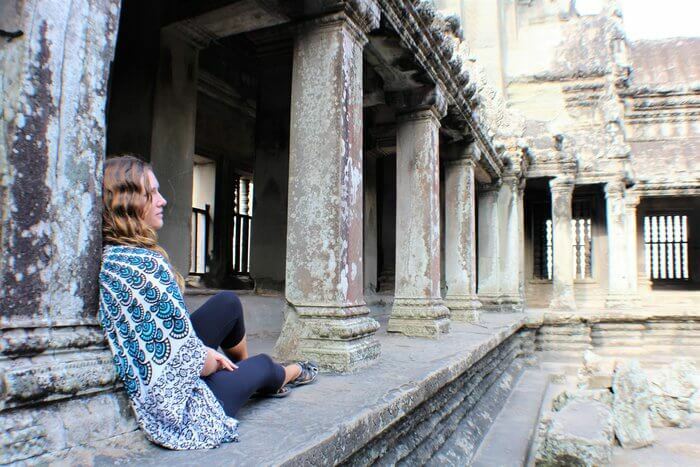 Welcome to your Angkor Wat Tour! 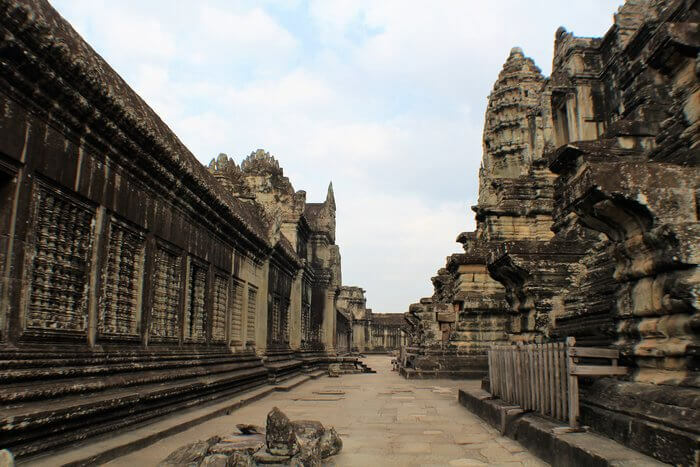 If you are travelling Cambodia, then an Angkor Wat temple tour is something that you can not miss out on. We have seen a lot of temples in our travels but can honestly say that these in Seim Reap were the best we have ever seen! In fact, Angkor Wat is the largest religious monument in the world & one of the oldest. Plus, Lonely Planet rated it #1 Bucket List for a reason. 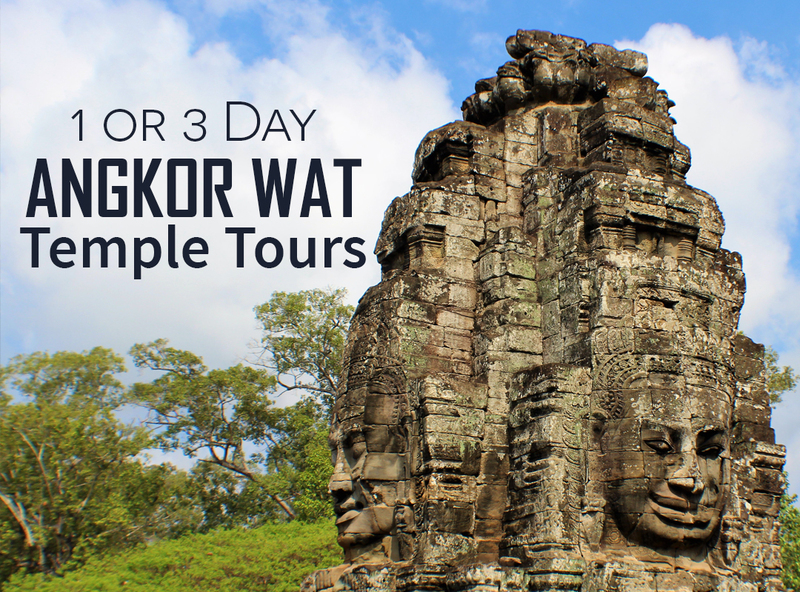 This is why we had to create a blog to help you plan your 1 or 3 day Angkor Wat tour plans. Here are the most important things you need to know. 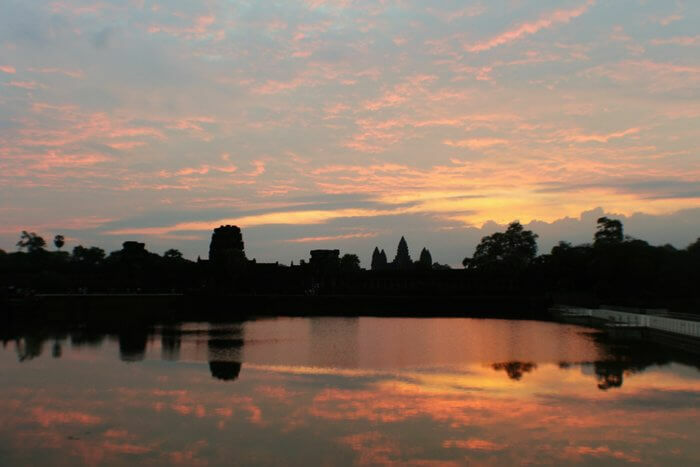 Sunrise at Angkor Wat – This is worth leaving your hotel at 430 am to be there to witness the Sunrise. Tomb Raider Temple – Remember the movie with Angelina Jolie and the awesome scenery behind her? Well in case you don’t many of the scenes from this movie were shot here at the Ta Prohm Temple. Tuk Tuk Adventures – Our driver put a smile on our faces as he drove around excitedly listening to Elvis Presley and dancing to his favorite song “the Macarena”. Getting lost in the moment – Literally just sitting there starring at some of the most beautiful and detailed structures ever created. The Angkor Wat Complex stretches over 162.6 hectares (404 Acres) and was originally constructed as a Hindu Temple of god Vishnu for the Khmer Empire. It was later changed into a Buddhist temple near the end of the 12 century. 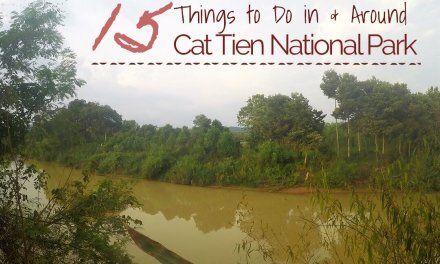 It is located about 8 kilometres (5 miles) North of Siem Reip in Cambodia and is surrounded by wilderness giving it an secluded appeal. We can say that it was far larger and had more fascinating architecture then ever imagined. Watching the sun rise over the Angkor Wat Temple will be completely worth leaving your hotel at 430 am. During this time, you get to roam around the complex, view the amazing scenery, see the many chambers, and learn more about the mystical history. Another benefit is that you get to miss the head and get to visit as many temples as you possibly can before the crowds come. We will get into this later in the blog post for your Angkor Wat Tour. Depending on your timeline you will need decide if you are going to either book a 1 or 3 day ticket. Some of the templates are so large, that ideally you should plan to visit approximately 5 templates per day. It is important to note, that being there in March was much hotter then we had imagined. Most people can only handle the heat till about 11:00am. Depending on the time of year and how much you like temples will make the difference on what type of pass to buy. At the end of 2016 the prices went up (almost doubling) for all Angkor Wat tickets. 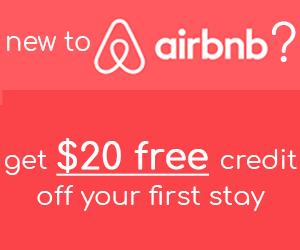 It is now $37 USD for 1 day or $62 USD for 3 days. A 7-day pass is also available for $72 USD but fair warning may come with temple fatigue. We had paid for 3 days but only used it for 2 days because it was still cheaper then buying 2 individual days. We truly loved the experience but as digital nomads have troubles spending any longer then a day anywhere lol. If the weather had not been as hot we would have personally just bought a 1 day ticket and been there sunrise to sunset. Our friends we were travelling with said they were glad they bought 3 because they would not have enjoyed it in just 1 day. If you are not as intense as us then you should go with the 3. Prepare for a long day! Stay hydrated (take lots of beer breaks) as you will want to be there from sunrise to sunset. You will want to be there to buy tickets at the latest 5am. Fair warning sometimes they have long long line ups so be early avoid missing the sunrise. After this you will want to see the other temples before the crowds come. 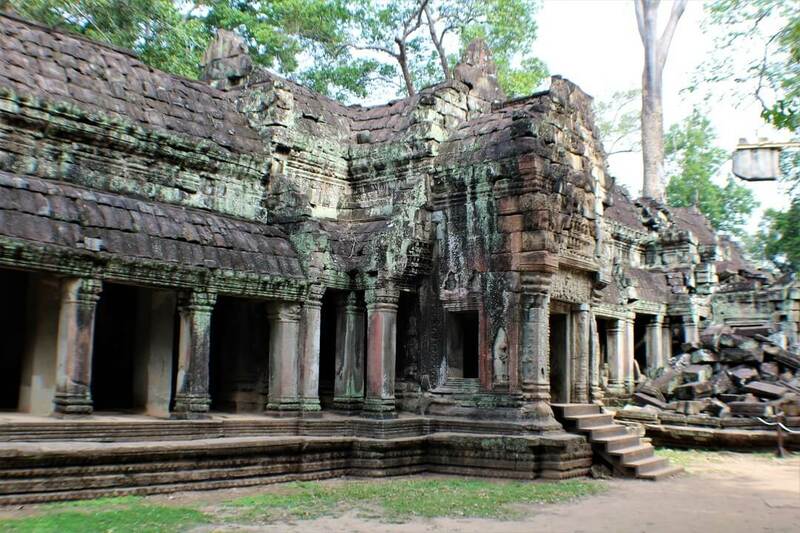 Our personal favourite temples beside Angkor Wat were the Banyon, Baphuon, Ta Promh (Tomb Raider), and Prae Roup Temples. For sunset you will watch it over the Srah Strang Temple. The nice thing about the 3 day pass is that you have the time to really enjoy it. You may want to come later in the first day to catch the sunset and buy your tickets then. This way you will avoid long lineups the next morning when getting up early for sunruse. The best route to take for the 3 day be doing the outside route one day, an the inside (smaller route) another. If there is any time left you may want to visit the Banteay Srei temple located about 16 kilometers north of Angkor. This one also has the least amount of people visit it. Once you have decided if you booking a 1 or 3 day ticket you can then decide the best mode of transportation for visiting the complex. With this you can join a tour group, have a private guide, rent a tuk tuk, or even pedal pikes for the day. We had wanted to rent pedal bikes but after the heat, and some crazy drivers, and the distance between temples we decided to go with renting a tuk tuk. Hiring a tour guide always ads to the enjoyment telling you interesting stories, but we would personally avoid an organized tour (mainly because we do not like waiting for people). Right now there are no audio books or VR Tours, but we are sure that some entrepreneurs are already working on that. If you know of any please leave it in the comments below. There was only 1 person we saw who had rented a scooter and was doing their own self directed tour. It was so much easier for the price to have someone drive us and tell us lots of interesting facts. Our driver was so excited to take pictures with us, share some stories, and take us to get our picture nose to nose with an epic face. The cost for a tuk tuk (for 4 of us) was $20 USD / Day and we paid slightly above average. Biggest piece of advice is before hiring a tuk tuk driver is to make sure they know where they are going. Our driver knew the best parking spots, where all the templates where, but had never been inside any of them. 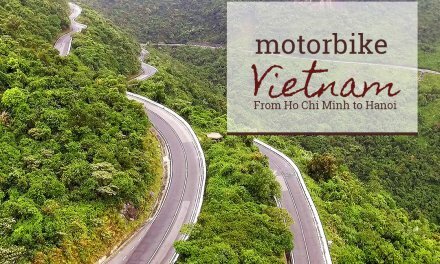 Ideally hiring a guide for the day (and a tuk tuk driver) would cost about $40 / usd and would give you all the benefits while being as cost effective as possible. When planning your trip to Cambodia it is important to look at the weather forecasts for time of year. Coming from Canada we thought that there could not be too much heat. Well when we were there in end of March we know beg to differ. 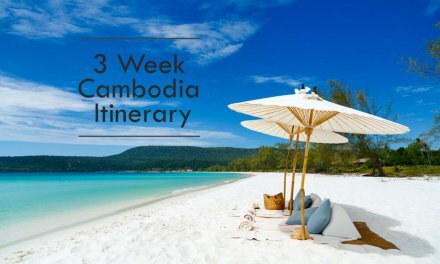 While staying in Sihanoukville we noticed a lot of the expats would all leave end of March before the hot and dry weather was about to come in. Peak season is usually November – March where there is more dryer and mild weather. April – May are the hot and humid months. In this period there is also an excessive amount of crop burning that further diminishes the air quality. June – September is the rainy seasons. It may be a little harder driving in the streets, but the rain normally does not last as long. On a positive note the rainy season does bring about the most colourful and beautiful scenery. The first thing you to think about is that you need to be respectful. The dress code has been relaxed over the last years, but men should wear normal t shirts (no sleeveless) and if possible cover your knees. I was going to use this as an opportunity to tan my legs in one my speedos, but decided to go with my regular shorts that was fine. The dress code is stricter for women where you must cover your shoulders and knees. To be respectful Nadine also decided to bring a shawl versus just a scarf that you can see in the pictures. We suggest staying close to the Night Market, but slightly away from the pub street. We stayed at the Le Tigre Hotel and actually rated it a 5 star on our Google Review. For its price (under $12 usd / night) had a pool, super comfy beds, and incredible AC. After a long day at Angkor Wat having the AC And A pool to relax by will pretty much be a necessity. It was about 7 kilometres from Angkor Watt and was in the main tourist district with very affordable restaurants down the road. It was a little hot out but I got a beer, pineapple shake, and Ice Coffee for $2.50 (I was that thirsty after the long day). The main attraction! We spent about 4 hours just in here alone. Starting off with a gorgeous sunrise that rises right over this. Spend some time to walk all through the statue right to the back and around the property walls. There is a giant mote around the property and many other buildings in the complex. This was one of the busier temples surrounded by 2 long walls showing an amazing collection of bas-relief scenes from many of the events from their historical times. In total there are 11,000+ carved figures over the kilometre of wall. Also known as Ta Prohm, had massive trees throughout the property and was amazing. It has received extensive restorations and is currently being worked on. If you are there and see Angelina Jolie say high for us! All the other temples were amazing but this one had to be our favourite. Standing about 50 metres high and 100 meters square. There was a 125 Metre by 425 Metre Wall surrounding this temple. It was built on sand and has been deteriorating over the years so make sure to visit it while you still can. 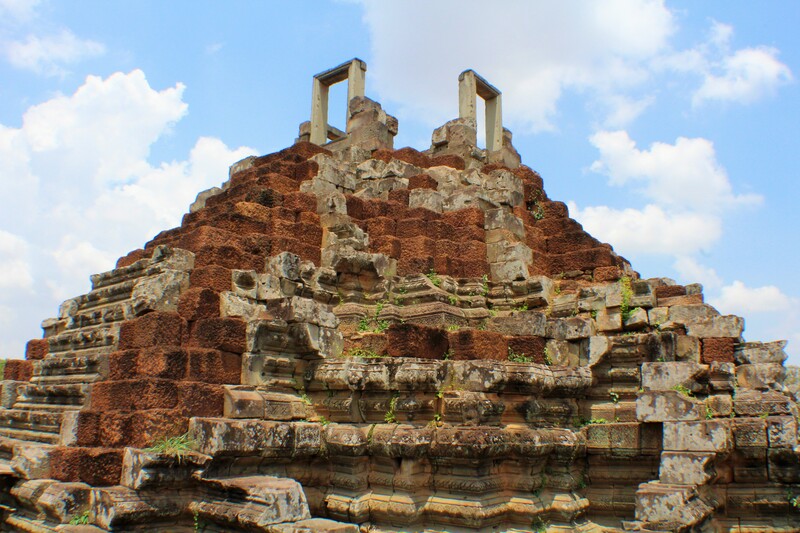 Prae Roup Temple – This was built with an extensive laterite and brick that gave it a give it a reddish tone that looked amazing in the late afternoon. Just like all attractions the food and drink is always more expensive in here then the city. Bring lots of water, sunscreen, and an extra battery or two for your camera if possible. Please make sure to leave any comments or suggestions below if you have any questions or suggestions on how we can make this blog and better. Also we have a lot of other pictures on our facebook album so make so Click Here to view them. Thanks for reading!